Carl Sagan Remembered: How Did He Inspire You? Do you remember the first time you saw "Cosmos"? Or the first time you heard Carl Sagan's voice tell you that you, too, were made of star stuff? 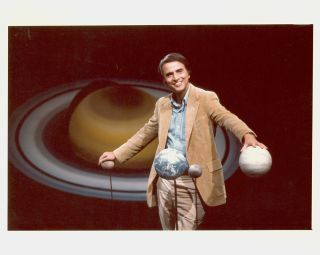 As we get ready for the premier of "Cosmos" on Sunday, March 9 on Fox TV and National Geographic, Space.com is taking a look back at the legacy of Carl Sagan, whose groundbreaking series helped teach a generation to love the universe and dream of someday reaching the stars. How did Carl Sagan inspire you? Let us know in the comments below.